Cinnamon is a sweet-smelling spice that evokes warmth and comfort, especially during the holidays. But did you know that this aromatic superfood also offers several evidence-backed health benefits? Cinnamon is a spice that comes from the inner bark of trees that belong to the genus Cinnamomum. In ancient times, cinnamon was rare enough to be presented as gifts for royalty. However, cinnamon is now common and cheap. You can buy it in supermarkets, and it is often used as an ingredient in various dishes. There are two main types of cinnamon: Ceylon cinnamon (Cinnamomum verum), or “true” cinnamon, and Cassia cinnamon (Cinnamomum cassia), or Chinese cassia. Cinnamon is made by cutting the stems of cinnamon trees. Once the inner bark is extracted, the woody parts are removed. The bark dries and curls into rolls that are called cinnamon sticks. Sometimes, these sticks are ground to make cinnamon powder. The oily part of the spice, which is rich in a compound called cinnamaldehyde, gives the spice its unique flavor and scent. Experts suggest that cinnamaldehyde is also responsible for cinnamon’s beneficial effects on health and metabolism. The spice is commonly used in home remedies and for medicinal purposes. 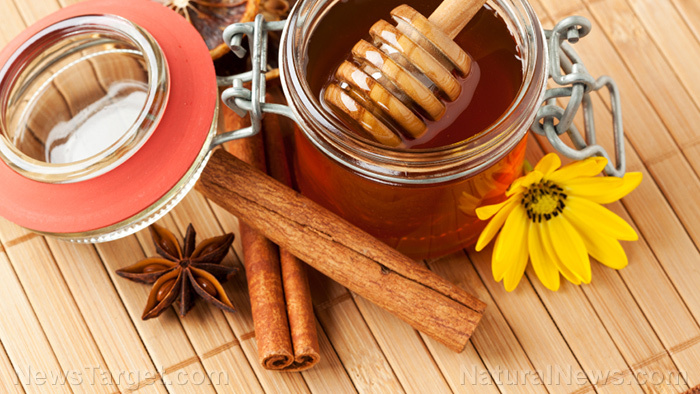 While there is only a handful of supported clinical evidence that validates the health benefits of cinnamon, there are a lot of small studies which suggest that using the spice offers some advantages. One teaspoon of cinnamon only has six calories, making it a guilt-free addition for different drinks and dishes. Cinnamon is used in healthy recipes, and it is also commonly added to desserts. This spice boosts the flavor of any dish without the need for any sugar, and it is also full of antioxidants. The Cleveland Clinic recommends taking at least 1/4 to a teaspoon of cinnamon per day. Here are the four health benefits of cinnamon. Cinnamon can help boost memory. This study may be a small one, but you can try chewing on some organic cinnamon-flavored gum so you can concentrate better when you’re studying for an important test or trying to finish a work-related project. Cinnamon can help clear acne. A 2015 review of studies revealed that cinnamon contains bioactive phytochemicals with antibacterial effects that can help clear breakouts. Cinnamon can help lower blood sugar. Several studies imply that cinnamon can help lower blood glucose levels in people with Type 2 diabetes. However, the American Diabetes Association (ADA) reports that the research is “too small and conflicting to state it as fact.” But the ADA added that individuals with Type 2 diabetes can use cinnamon as a beneficial health supplement to manage their condition. The results of a 2013 study showed that cinnamon extract “significantly promotes type I collagen biosynthesis within dermal fibroblasts.” This means that the spice can help address aging skin and wrinkles. Use a cinnamon face mask regularly to keep your skin supple and radiant. Take some cinnamon daily if you want to improve your blood sugar levels and keep your skin beautiful and pimple-free.